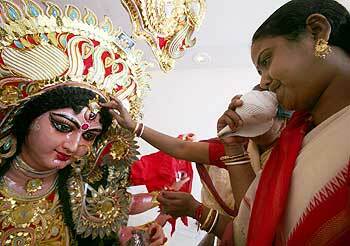 The nine-day Navratri festival began across India with fervour on Saturday. Thousands of devotees queued up at temples of Goddess Durga. 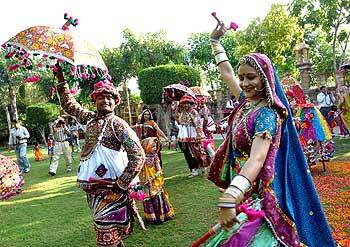 Navratri, which literally means nine nights, is observed twice a year. The festival lasts for nine days in honour of nine manifestations of Durga, goddess of power, and fall in the months of April-May and September-October. It is believed that during the Navratri, Goddess Durga descends on earth to rid it of the demons and blesses her devotees with happiness and prosperity. In New Delhi, devotees converged at Jhandewalan to offer prayers prior to dawn and observed fast throughout the day. "We observe fast on the first day of Navratri. 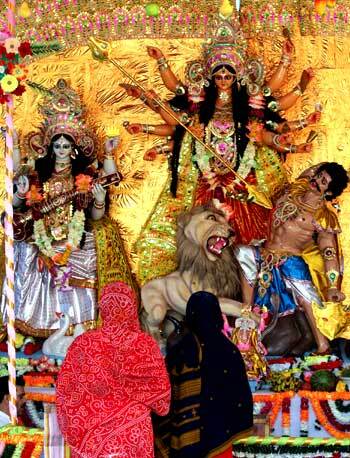 On the first day, we pray for the whole day and meditate on Goddess Durga," said Madan Gehlot, a devotee. At Faizabad in Uttar Pradesh, people made a beeline to the temple of Goddess Badi Devkali. The local devotees believe their wishes are fulfilled if they pray to Goddess Badi Devkali during the festival. "People believe that coming here redeems them from their sins. 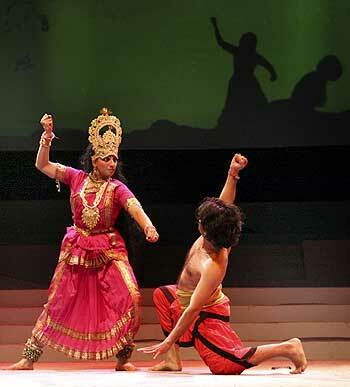 Since the Goddess Devkali is the deity of Lord Rama's dynasty, her significance is all the more. That's why people come here to offer prayers to the Goddess," said Poonam, a devotee. Earlier on Friday, a day prior to the commencement of Dusshera, a unique annual horse procession was taken out through the streets of Allahabad. The belief is that the horse representing sage Vyasa would relate the Ramayana. Musical bands led the attractively decorated white horse procession organised by a leading Ram Lila committee of the city. "Legend says that when Maharishi Valmiki narrated the story of Lord Rama to Luv and Kush, this horse standing next to them also listened to the story. The horse in the form of sage Vyasa tells the story of Rama to people during the Navratri celebrations," said Ajay Kumar Shukla, secretary, Ramlila Committee.